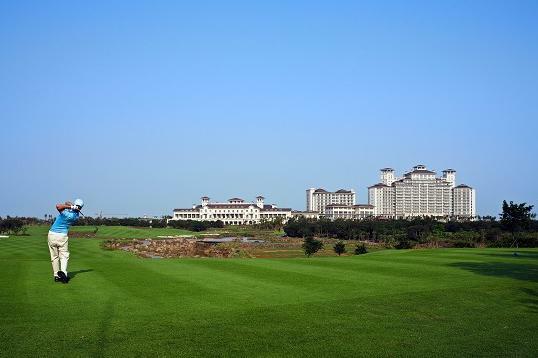 The 2012 Haikou Golf & Tourism Forum hosted by the Haikou Municipal People’s Government and the Mission Hills Group will held at the Haikou Mission Hills holiday resort in the morning of 2nd March, 2012. Nearly 500 honored guests from home and abroad attended the Forum. Themed as “Rising and new golf & tourism destination”, Haikou will be built into China’s “Golf & Tourism Capital” and “World’s Golf & Tourism Destination”. The vice mayor of Haikou Xu Minsheng said that Haikou is provided with economic strength to build as China’s “Golf Capital”, and Haikou will focus on the MICE industry and yachting industry as well.